We have a host of new users this season on FiT, and throughout the next week or so we are going to try and highlight some of the main features of FiT and try and answer some of the most common questions we receive through our support section. The first thing to explain is Gameweeks (GW). A GW is a little different to a normal calendar week, it is a block of fixtures where most Premiership teams will play at least one match. You can see what fixtures are in each GW by visiting the Match Centre, at the top of the page underneath the month tabs you can see the GW number and you can cycle through them by clicking next and previous. You can also work out from here when the GW starts and ends, a GW will always end the day after the last fixture. So, GW1 will change to GW2 on Thursday 23rd Aug afternoon (as the last match is Wednesday 22nd Aug evening). 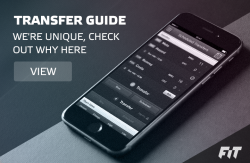 – you get 2 transfers to use each GW, with the option to buy a third for 100 FiT Credits. When the GW changes, your transfers are reset and do not carry over. If you want to get ahead on FiT it is important you use your transfers every GW to get the most out of your iTeam. 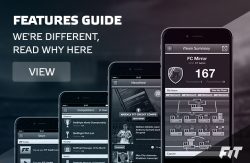 – each GW you can set a captain for your iTeam, this means that this player will score double points for that GW. – each GW your iTeam can compete in H2H matches with other iTeams, only the points for that GW count when deciding the result. – each GW you can win Rosettes if you are the highest scoring iTeam in a Mini League which has 10 or more iTeams in it. Tomorrow we will be posting an overview of the H2H feature.